Page speed is an important consideration for your SEO work, but it’s a complex subject that tends to be very technical. What are the most crucial things to understand about your site’s page speed, and how can you begin to improve? In this week’s edition of Whiteboard Friday, Britney Muller goes over what you need to know to get started. Hey, Moz fans. Welcome to another edition of Whiteboard Friday. Today we’re going over all things page speed and really getting to the bottom of why it’s so important for you to be thinking about and working on as you do your work. At the very fundamental level I’m going to briefly explain just how a web page is loaded. That way we can sort of wrap our heads around why all this matters. Typically the DOM will need to request additional resources from your server to make everything happen, and this is where things start to really slow down your site. Having that sort of background knowledge I hope will help in us being able to triage some of these issues. What are some of the most common culprits? First and foremost is images. Large images are the biggest culprit of slow loading web pages. Plugins, apps, and widgets, basically any third-party script as well can slow down load time. Your theme and any large files beyond that can really slow things down as well. Redirects, the number of hops needed to get to a web page will slow things down. But all of these things can be a culprit. So we’re going to go over some resources, some of the metrics and what they mean, and then what are some of the ways that you can improve your page speed today. The primary resources I have listed here are Google tools and Google suggested insights. I think what’s really interesting about these is we get to see what their concerns are as far as page speed goes and really start to see the shift towards the user. We should be thinking about that anyway. But first and foremost, how is this affecting people that come to your site, and then secondly, how can we also get the dual benefit of Google perceiving it as higher quality? We know that Google suggests a website to load anywhere between two to three seconds. The faster the better, obviously. But that’s sort of where the range is. I also highly suggest you take a competitive view of that. Put your competitors into some of these tools and benchmark your speed goals against what’s competitive in your industry. I think that’s a cool way to kind of go into this. This is Chrome real user metrics. Unfortunately, it’s only available for larger, popular websites, but you get some really good data out of it. It’s housed on Big ML, so some basic SQL knowledge is needed. Lighthouse, one of my favorites, is available right in Chrome Dev Tools. 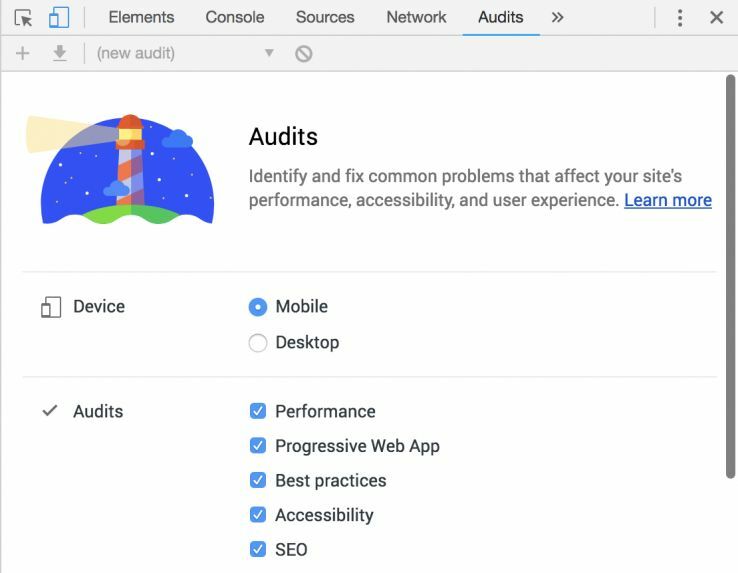 If you are on a web page and you click Inspect Element and you open up Chrome Dev Tools, to the far right tab where it says Audit, you can run a Lighthouse report right in your browser. What I love about it is it gives you very specific examples and fixes that you can do. A fun fact to know is it will automatically be on the simulated fast 3G, and notice they’re focused on mobile users on 3G. I like to switch that to applied fast 3G, because it has Lighthouse do an actual run of that load. It takes a little bit longer, but it seems to be a little bit more accurate. Good to know. Page Speed Insights is really interesting. They’ve now incorporated Chrome User Experience Report. But if you’re not one of those large sites, it’s not even going to measure your actual page speed. It’s going to look at how your site is configured and provide feedback according to that and score it. Just something good to be aware of. It still provides good value. I don’t know what the title of this is. If you do, please comment down below. But it’s located on testmysite.thinkwithgoogle.com. This one is really cool because it tests the mobile speed of your site. 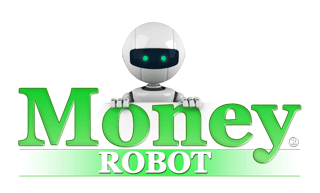 If you scroll down, it directly ties it into ROI for your business or your website. We see Google leveraging real-world metrics, tying it back to what’s the percentage of people you’re losing because your site is this slow. It’s a brilliant way to sort of get us all on board and fighting for some of these improvements. Pingdom and GTmetrix are non-Google products or non-Google tools, but super helpful as well. So what are some of the metrics? We’re going to go over first paint, which is basically just the first non-blank paint on a screen. It could be just the first pixel change. That initial change is first paint. First contentful paint is when the first content appears. This might be part of the nav or the search bar or whatever it might be. That’s the first contentful paint. First meaningful paint is when primary content is visible. When you sort of get that reaction of, “Oh, yeah, this is what I came to this page for,” that’s first meaningful paint. Time to interactive is when it’s visually usable and engage-able. So we’ve all gone to a web page and it looks like it’s done, but we can’t quite use it yet. That’s where this metric comes in. So when is it usable for the user? Again, notice how user-centric even these metrics are. Really, really neat. The DOM content loaded, this is when the HTML is completely loaded and parsed. So some really good ones to keep an eye on and just to be aware of in general. HTTP/2 can definitely speed things up. As to what extent, you have to sort of research that and test. Preconnect, prefetch, and preload really interesting and important in speeding up a site. We see Google doing this on their SERPs. If you inspect an element, you can see Google prefetching some of the URLs so that it has it faster for you if you were to click on some of those results. You can similarly do this on your site. It helps to load and speed up that process. Caching is so, so important. Definitely do your research and make sure that’s set up properly. Same with CDNs, so valuable in speeding up a site, but you want to make sure that your CDN is set up properly. The easiest and probably quickest way for you to speed up your site today is really just to compress those images. It’s such an easy thing to do. There are all sorts of free tools available for you to compress them. Optimizilla is one. You can even use free tools on your computer, Save for Web, and compress properly. You can also minify resources. So it’s really good to be aware of what minification, bundling, and compression do so you can have some of these more technical conversations with developers or with anyone else working on the site. So this is sort of a high-level overview of page speed. There’s a ton more to cover, but I would love to hear your input and your questions and comments down below in the comment section. I really appreciate you checking out this edition of Whiteboard Friday, and I will see you all again soon. Thanks so much. See you.